Turbidity is a very useful tool when regarding control within the primary settlement stage of water treatment. 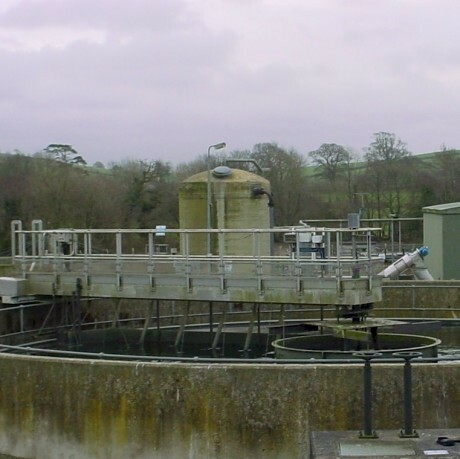 By utilising turbidity as a control variable during this stage of the process you can enable a more rapid response to variations in load and provide early warning to operators of equipment malfunction before it’s too late; allowing for immediate action to be taken and avoiding problems further along the process chain. Turbidity data (collected by instrumentation such as our Turbi-Tech sensors) at the outlet of primary settlement can be used as a live signal for dosage control of coagulants (such as PACs) at inlet via a feed-back loop. In situations where an increased flow rate is experienced (such as in stormy conditions), using turbidity in this way avoids an overdose of flocculent chemicals, which could potentially affect later stages of the process chain via fluctuating pH levels and resultant jellified bacteria in trickle filters. Plant operators are notified of such instances by high turbidity readings, contrasting with low sludge density values, which alerts them to the problem much sooner rather than later, namely when the sludge blanket rises over the edge of the settlement tank; leading to a lot of mess and inevitable paperwork! The uses of turbidity as an addition to your primary settlement control system are certainly not to be dismissed. Get in touch with Partech today to find out how we can help you to increase efficiency and reduce costs within your primary settlement processes.